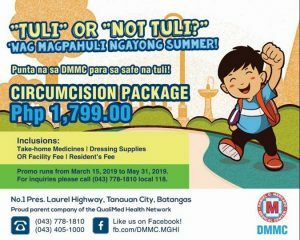 Make this summer a milestone for your binatilyo! 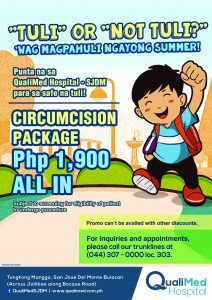 Our circumcision packages are now available. 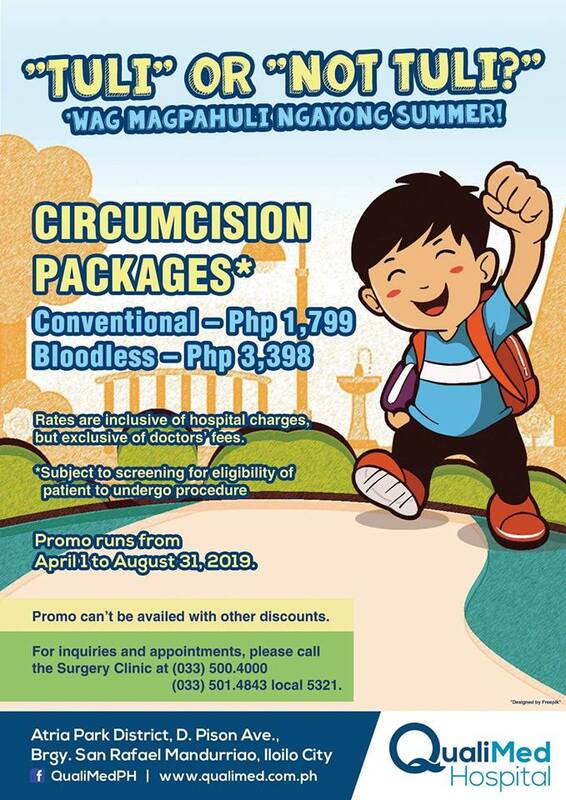 Promo runs from March 15 to May 31, 2019. 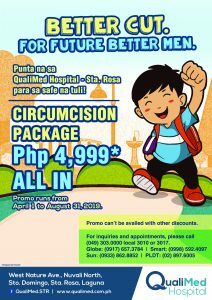 For inquiries, please call (043) 778-1810 local 118. *Rates are inclusive of hospital charges, but exclusive of doctors’ fees. Subject to screening for eligibility of patient to undergo procedure. *Promo runs from April 1 to August 31, 2019. 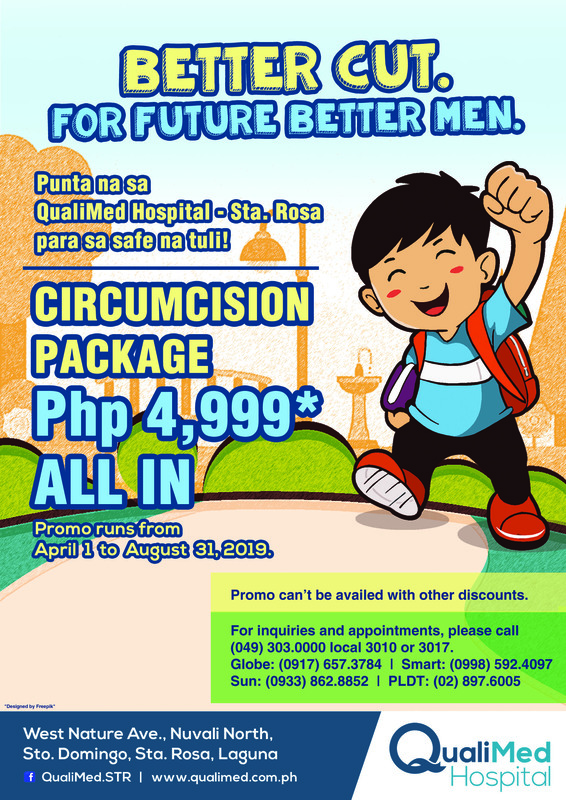 For inquiries, please call (033) 500-400, (033) 501-4843 local 5321. *ALL IN for Hospital Bill and Doctor’s Fees. OPD case only with NO complications. 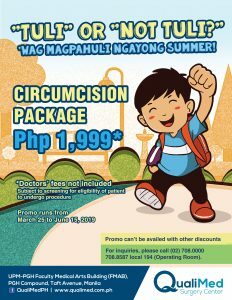 *For inquiries, please call (044) 307-0000 local 303. *For inquiries, please call (049) 303-0000 local 3010 or 3017. *Doctors’ fees not included. Subject to screening for eligibility of patient to undergo procedure. *Promo runs from March 25 to June 15, 2019. For inquiries, please call (02) 708-0000 local 194 (Operating Room). *Inclusive of doctors’ fees. Subject to screening for eligibility of patient to undergo procedure. 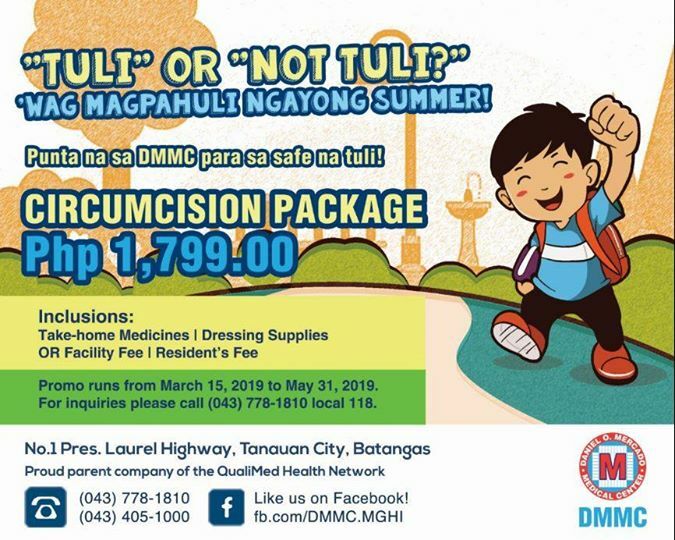 *Promo runs from April 1 to June 15, 2019. For inquiries, please call 501-2000.